There is always space for your frozen products – even during peak seasons! Our massive 30m high bay cold storage facility is the largest automated cold storage facility in Singapore. Your products are kept at optimal temperatures for utmost quality. 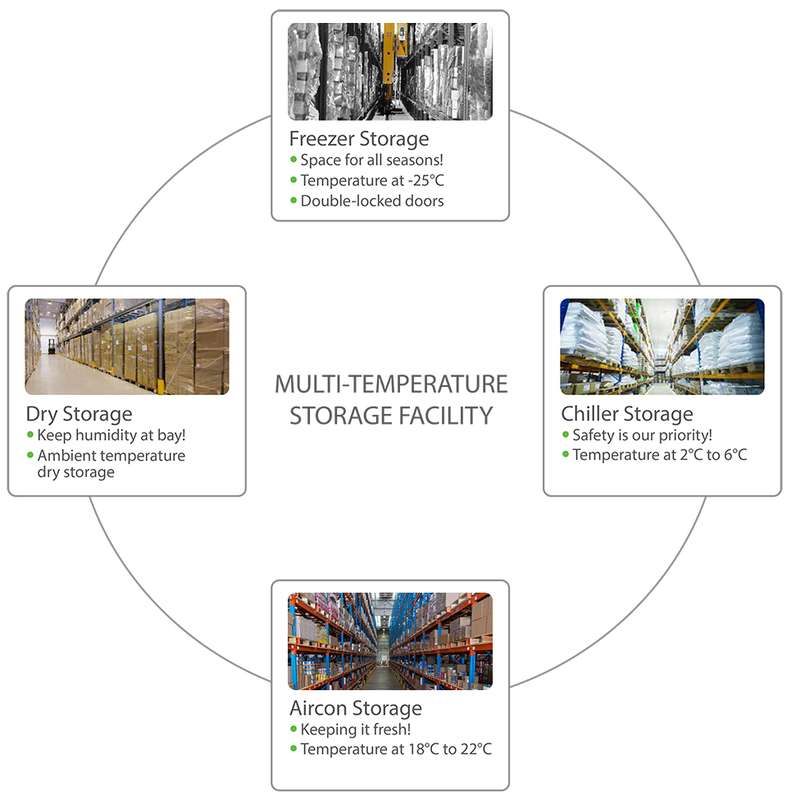 The temperature in our cold storage facility is constantly maintained at -25°c behind double locked doors, which helps to keep energy consumption low. Your chilled food is kept food-grade safe in our chiller facility at a temperature of 2°c to 6°c. Delicacies such as Kobe Beef and Gourmet cheeses are best kept at this temperature range. Food safety is our utmost priority therefore we strive to store your food at the safest possible level thereby giving you assurance. We help you bring nature’s goodness from all corners of the world to your customer, as fresh as they are at the time of harvest. Our 18°c to 22°c refrigerated rooms can be counted on to maintain the freshness of your products.